Yongjun Peng is a Professor at University of Queensland with a joint appointment between the School of Chemical Engineering and JKMRC to enhance the excellence of research and teaching in metallurgy. He obtained his PhD under the supervision of Profs Stephen Grano, John Ralston and Daniel Fornasiero from the Ian Wark Research Institute of the University of South Australia, in 2002. This study was part of a large international project, AMIRA P260C regarding grinding and flotation chemistry in fine particle flotation with application of complementary solution and surface analytical techniques.. He studied the galvanic interactions between grinding media and base metal sulphide minerals, mineral oxidation and dissolution, the activation of gangue minerals, and surface contamination in improving mineral flotation. He was the 1st researcher developing the well-known Magotteaux Mill which allows the control of chemical reactions during grinding. His research work also guides the industry to use high chromium media in primary grinding mills and inert grinding media in regrinding mills to minimize the negative effect of galvanic interactions. From 2002 to 2006, Yongjun Peng worked at the COREM Research Centre in Canada which is supported by the Canadian government and eleven international member mining companies. During his time there, he developed technologies for member mining companies to improve base metal, gold and niobium flotation. He was awarded an expert certificate for five years in Canada by the Quebec government, and also awarded NSERC (Natural Sciences and Engineering Research Council of Canada)-Industry Research Fellowship. From 2006 to 2009, Yongjun Peng worked at BHP Billiton Perth Technology Centre in Australia as a Senior Metallurgist/Engineer responsible for fine nickel flotation in saline water, gold and uranium processing. He won a major BHP Billiton internal prize in 2008. Yongjun Peng’s current research at the University of Queensland focuses on froth flotation and the underlying solution chemistry, colloid/surface chemistry and electrochemistry. In addition to solving problems for individual companies, the underlying theme is the particle interaction taking place during the processing of low quality and complex energy and mineral resources with low quality water to address key challenges that face the mining industry today. His research is supported by the Australia Research Council, the Australian Coal Industry’s Research Program and the mining industry. His current research group consists of 6 Postdoctoral research fellows, 10 PhD and 2 MPhil research students and 3 visiting academics. Course coordinator and lecturer of 4th year undergraduate course MINE4201 (Mineral Processing Metallurgical Plant Design) in parallel teaching with Murdoch university and Curtin University under the umbrella of Australian Minerals Tertiary Education Council, assisted by design companies, mining companies and external consultants. Lecturer of 2nd year undergraduate course MINE2201 (Physical & Chemical Processing of Minerals). Current research Supervision: principal supervisor of 10 PhD students and 1 MPhil students, 4 Postdoctoral research fellows, and 3 visiting academics. Yongjun Peng’s research addresses regrinding chemistry to identify how particle breakage mechanisms in tumbling mills and stirred mills affect pulp and surface chemistry and the redistribution of surface oxidation species, activation species and flotation reagents in improving mineral flotation and separation. He have developed a new regrinding-flotation process to improve copper and gold recoveries prior to CIL while reducing reagent consumption in flotation and cyanidation. Presently, his research focuses on mitigation of negative effects of pulp chemistry after fine regrinding on the adsorption of collectors on value minerals and the activation on gangue minerals. Yongjun Peng has been working on oxidation and dissolution of fine sulphide minerals and how these alter surface characteristics and affinity to other gangue minerals and colloids governing the bubble-particle attachment efficiency. He has also worked on strategies to control the oxidation of fine particles and their interactions with other gangue minerals and colloids in improving ultra-fine particle flotation. He has developed a simple chemical process to clean the surface contamination to improve copper and gold flotation. 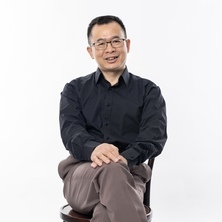 Presently, he starts a new research program to improve fine particle flotation by engineering the surface properties, and develops simple tools to measure surface oxidation in plants. This work explores slime coating of fine gangue minerals, the entrainment of normal gangue minerals through the water films of gas bubbles and the entrapment of anisotropic gangue minerals through network structures in flotation. Yongjun Peng’s research addresses how slimes coat mineral surfaces and how anisotropic minerals form network structures under flotation context and then affect pulp rheology and subsequent mineral flotation and gangue entrapment. He also works on strategies to mitigate slime coating and reduce particle entrainment and entrapment by modifying particle interactions and network structures through polymers and inorganic salts. Simple tools have been developed to characterize clay minerals. This work not only identifies the different particle interactions in saline water, but also addresses the different behaviour of flotation reagents (collector, frother, polymeric dispersant and flocculant) in saline water. Novel reagents have been developed to be used in saline water to mitigate slime coating, gangue entrapment and overly stable froth. Yongjun Peng is also working on cyanide chemistry and the interaction of free cyanide and WAD cyanide in recycle water with base metal sulphide and precious minerals. New technologies have been developed to counter the depression of cyanide species in process water on the flotation of pyritic gold. Cyanide speciation is also manipulated to enhance the depression or activation. Liu, Qi and Peng, Yongjun (1999) The development of a composite collector for the flotation of rutile. Minerals Engineering, 12 12: 1419-1430. Wang, Yanhong, Peng, Yongjun and Lauten, Rolf (2016). The role of sulfate salts in mitigating the deleterious effect of bentonite in copper flotation. In: XXVIII International Mineral Processing Congress Proceedings. XXVIII International Mineral Processing Congress, Québec City, Canada, (). 11-15 September 2016. Liu, D. and Peng, Y. (2014). Exploring the different dispersion effect of anionic polymeric dispersant on clay minerals in the flotation using fresh and saline water. In: Juan Yianatos, XXVIl International Mineral Processing Congress - IMPC 2014: Conference Proceedings. XXVII International Mineral Processing Congress - IMPC 2014, Santiago, Chile, (2-12). 20-24 October 2014. Wei, R. and Peng, Y. (2014). Mitigating the effect of surface coatings on gold processing. In: 12th AusIMM Mill Operators' Conference 2014: Achieving more with less. Proceedings. 12th AusIMM Mill Operators' Conference 2014, Townsville, QLD, Australia, (187-192). 1-3 September, 2014. Liu, Di, Peng, Yongjun and Vink, Sue (2013). Improving coarse coal flotation by enhancing surface hydrophobicity and froth stability. In: Chemeca 2013: Challenging Tomorrow. Chemeca 2013: Australasian Conference on Chemical Engineering, Brisbane, QLD, Australia, (1-5). 29 September-2 October, 2013. Wei, R., Peng, Y. and Seaman, D. (2013). The effect of grinding media on copper and gold flotation in the presence of clay minerals. In: Leon Lorenzen, World Gold 2013 Conference: Challenges in Gold Mining. Proceedings. 5th World Gold 2013 Conference, Brisbane, QLD, Australia, (283-288). 26-29 September, 2013. Guo, B., Peng, Y. and Espinosa-Gomez, R. (2013). The effect of weak acid dissociable cyanide on gold and silver flotation in Hidden Valley Mine. In: Leon Lorenzen, World Gold 2013 Conference: Challenges in Gold Mining. Proceedings. 5th World Gold 2013 Conference, Brisbane, QLD, Australia, (341-346). 26-29 September, 2013. Burns, F., Seaman, D., Peng, Y. and Bradshaw, D. (2013). The implementation of regrinding-flotation pre-treatment of the CIL feed in a copper-gold plant. In: Flotation'13: The 6th International Flotation Conference, Cape Town, South Africa, (1-8). 18-21 November, 2013. Long, G., Peng, Y. and Bradshaw, D. (2013). The removal of arsenic bearing minerals from Rosebery copper concentrate. In: Flotation'13: The 6th International Flotation Conference, Cape Town, South Africa, (1-17). 18-21 November, 2013. Peng, Yongjun, Zhao, Shengli and Bradshaw, Dee (2012). Role of saline water in the selective flotation of fine particles. In: Water in Mineral Processing - Proceedings of the 1st International Symposium. 1st International Symposium on Water in Mineral Processing, Held During the 2012 SME Annual Meeting, , , (61-71). February 19, 2012-February 22, 2012. Liu, D., Wang, B., Peng, Y. and Vink, S. (2012). Determining the effect of clay minerals in coal flotation using saline water. In: Proceedings: 11th AusIMM Mill Operators' Conference 2012. 11th AusIMM Mill Operators' Conference 2012, Hobart, Australia, (151-158). 29-31 October 2012. Burns, F., Seaman, D. R., Peng, Y. and Bradshaw, D. J. (2012). Development of a pyrite regrind circuit at Telfer Gold Mine. In: Peter Hills (Conference Chair), Proceedings: 11th AusIMM Mill Operators' Conference 2012. 11th AusIMM Mill Operators' Conference 2012, Hobart, Tasmania, (45-52). 29-31 October 2012. Long, G., Peng, Y. and Bradshaw, D. J. (2012). Production of a low arsenic copper concentrate at MMG Rosebery. In: Peter Hills (Conference Chair), Proceedings: 11th AusIMM Mill Operators' Conference 2012. 11th AusIMM Mill Operators' Conference 2012, Hobart, Tasmania, (347-354). 29-31 October 2012. Peng, Yongjun, Zhao, Shengli and Bradshaw, Dee (2012). Role of saline water in the selective flotation of fine particles. In: Jaroslaw Drelich, Jiann-Yang Hwang, Jack Adams, D. R. Nagaraj, Xiaowei Sun and Zhenghe Xu, Water in Mineral Processing: Proceedings of the First International Symposium. 2012 SME Annual Meeting, Seattle, USA, (61-72). 19 - 22 February 2012. Wang, B., Peng, Y. and Vink, S. (2012). The effect of clay minerals on coal flotation in fresh and saline water. In: Darren Mathewson, Proceedings of the Fourteenth Australian Coal Preparation Conference: Stories from the Coal Face. Fourteenth Australian Coal Preparation Conference, Canberra, Australia, (308-320). 9-13 September 2012. Peng, Yongjun and Bradshaw, Dee J. (2011). Mechanisms for the improved flotation of ultrfine pentlandite and its separation from serpentine in saline water. In: Flotation '11, Cape Town, South Africa, (1-11). 14-17 November 2011. Ourriban, Mohamed, Liu, Weikang, Liu, Qi, Gong, Jihua, Peng, Yongjun and Bouajila, Ahmed (2010). Understanding the roles of polyethylene oxide and xanthate in reducing quartz gangue entrainment in sulfide ore flotation. In: Marek Pawlik, Proceedings of 49th Annual Conference of Metallurgists (COM 2010). 49th Annual Conference of Metallurgists (COM 2010), Vancouver, BC, Canada, (101-101). 3-6 October 2010. Gong, J., Yeung, A., Liu, Q., Bouajila, A., Ourriban, M., Jang, H. and Peng, Y. (2008). The effect of polyethylene oxide (PEO) on reducing the mechanical entrainment of fine quartz gangue during sulphide ore flotation. In: D. Z. Wang, C. Y. Sun, F. L. Wang, L. C. Zhang and L. Han, Proceedings of the XXIV International Mineral Processing Congress (IMPC 2008). XXIV International Mineral Processing Congress (IMPC 2008), Beijing, China, (1161-1169). 24-28 September 2008. Girard, J., Jang, H., Liu, Q., Ourriban, M., Pelletier, P. and Peng, Y. (2006). Reduction of fine quartz entrainment in sulfide flotation by polymer depressants. In: Proceedings of the XXIII International Mineral Processing Congress (IMPC 2006). XXIII International Mineral Processing Congress (IMPC 2006), Istanbul, Turkey, (548-553). 3-8 September 2006. Ourriban, M. and Peng, Y. (2006). Roles of metal oxidation species in the flotation of fine sulfide minerals. In: Interfacial phenomena in fine particle technology : proceedings of the sixth UBC-McGill-UA International Symposium on Fundamentals in Mineral Processing. COM2006 Sixth UBC-McGill-University of Alberta Biennial Symposium on Interfacial Phenomena in Fine Particle Technology, Montréal, Canada, (). 1-4 October 2006. Cotnoir, D., Liu, Q., Ourriban, M. and Peng, Y. (2006). Some approaches in improved fine particle flotation and separation. In: 38th Canadian Mineral Processors Operators Conference, Ottawa, Canada, (). 17-19 January 2006. Liu, Q., Peng, Y. and Wannas, D (2005). Reduction of mechanical entrainment by polymer depressants. In: Australasian Institute of Mining and Metallurgy Publication Series : Centenary of Flotation Symposium. Centenary of Flotation Symposium, Brisbane Australia, (983-990). 6-9 June 2005. Cotnoir, D., Liu, Q., Ourriban, M., Peng, P. and Richard, D. (2005). Some solutions to the problems in fine particle flotation. In: Graeme J. Jameson, Conference Proceedings: Centenary of Flotation Symposium. Centenary of Flotation Symposium, Brisbane, QLD, Australia, (535-540). 6-9 June 2005. Improving the treatment of coal flotation in saline water - plant tests.